I was presented with an amazing opportunity as a member of the press for Walker Stalker Con this past weekend – the chance to participate in a roundtable with Andrew Lincoln, who is of course the star of AMC’s The Walking Dead. Just eight members of the press were at this particular interview, and each of us got to ask one question. Several of us at The Geekiary put our heads together in hopes of coming up with a question that would really ‘count’. 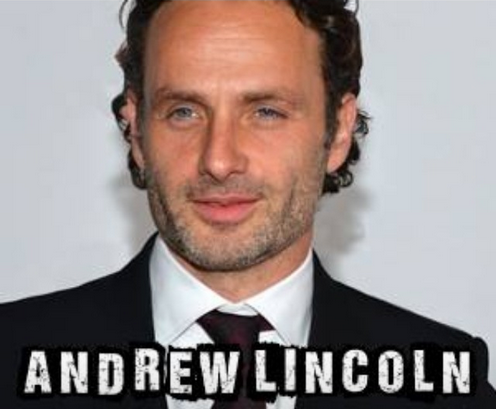 In the end, there was a good mix of show-centric questions versus ones focused on Andrew Lincoln as an actor, and ours happened to be in the former category. Despite having a fairly limited amount of time in what was clearly a busy weekend for him, Mr. Lincoln truly went out of his way to give all of us thoughtful (and thought-provoking, in many cases) answers. One of the first inquiries was from Joe Blackmon of ComicBook.com, who mentioned Andrew Lincoln’s stellar acting as Rick in reaction to Lori’s death and asked if there was anything in the upcoming episodes of season four that would again cause that ‘wow’ reaction amongst viewers. Though Andrew admitted that he’s “not one of those actors that watches [the show]”, he also made it a point to mention that “there are some incredible emotional moments…as always…and this season in particular. There’s a lot of story, there’s a lot of character development in this season.” While he didn’t talk much about himself in particular, he mentioned Melissa McBride (Carol), Emily Kinney (Beth), Norman Reedus (Daryl), Steven Yeun (Glenn), and Scott Wilson (Herschel). 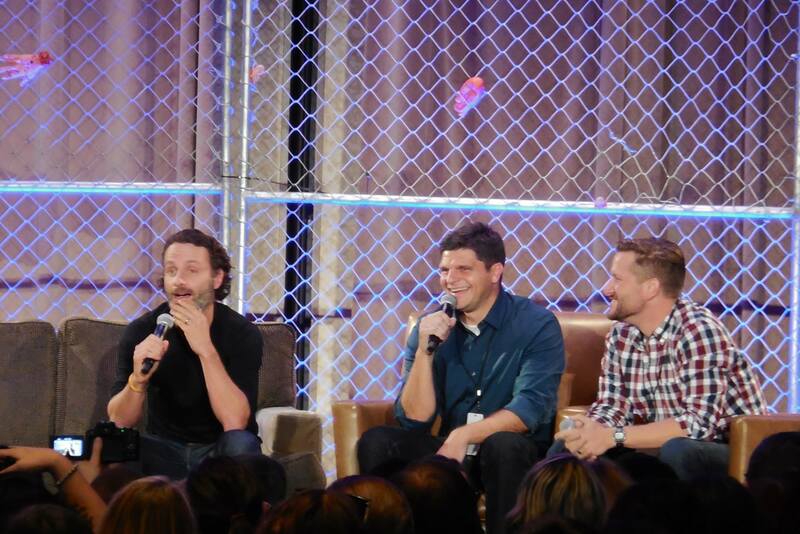 “Wait for Scott Wilson in the next couple of episodes,” he hinted – and as we didn’t see much of Herschel in episode four, I think it’s safe to assume that we’ve got some great surprises coming in relation to that character. Mr. Lincoln went on to say that this season, “everybody is getting their chance to shine…we have an incredible ensemble of actors here. I’m not one of these people that goes, ‘Yeah, I killed that scene’…it’s just not my style…Losing someone as important as Lori was on so many levels…very difficult, but…there’s something I’ve just read, we haven’t shot it yet, and I hope I get it right. But…there’s something very big looming that makes me nervous, and a nervous actor is always in my opinion a good actor, because it means you care.” Unfortunately we were not allowed to ask for details on this thing they “haven’t shot yet”, but the fact that he compares it to filming Rick dealing with Lori’s death certainly makes me nervous as well! That last sentence was certainly a bit of a cliff-hanger ending for the roundtable. Between Mr. Lincoln’s comments about Scott Wilson, about a yet-to-be-filmed scene that makes him nervous, and the hint that Rick may not continue to be so contained “for long”, I’d say that we have far more to look forward to than even the first four great episodes of season four have shown us.